The Indian civil aviation industry is a promising sector owing to increased demand from the upper-middle class, higher disposable incomes, favourable demographics and rapid economic growth. It has the prospect of becoming the third-largest aviation market by 2020 and reaching its zenith by 2030. The industry is following a progressive trajectory, paving the way for a new wave of growth and expansion with a substantial focus on low-cost carriers, modern airports, foreign direct investment (FDI) in domestic airlines, information technology developments and regional connectivity. The Indian civil aviation industry is among the top 10 in the world, with a value of around US$16 billion, which only forms a fragment of the latent potential and capabilities of the industry. 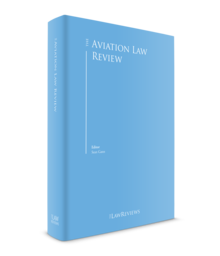 With the National Civil Aviation Policy 2016, which came into effect on 15 June 2016, it is necessary to analyse the current framework of the aviation sector. The Ministry of Civil Aviation (MOCA) is responsible for the administration of the aviation industry in India. It plays a significant role in the formulation of national policies and programmes for development and regulation of civilian aviation, and for devising and implementing schemes for methodical and efficient growth of civilian air transport. The MOCA also ensures the implementation of the Aircraft Act, 1934. The following are the principal regulatory authorities of the civil aviation industry functioning under the authority of the MOCA in India: Directorate General of Civil Aviation (DGCA); Airports Authority of India (AAI); and the Airport Economic Regulatory Authority (AERA). The DGCA is the principal establishment tasked with the responsibility of regulating civil aviation in India, including air transport services, enforcement of civil air regulations, air safety and airworthiness standards. It also coordinates all regulatory functions with the International Civil Aviation Organisation (ICAO). The AAI is a nodal organisation entrusted with the responsibility of creating, upgrading, maintaining and managing civil aviation infrastructure, both on the ground and in the country's air space. Its responsibilities include passenger services, air navigation services, security services and managing aerodrome facilities. AERA was established in 2008 to regulate the tariff for aeronautical services rendered at major airports in India. AERA also monitors the performance standards of the established airports as set out by the central government or any other body authorised by it. Its primary responsibility is to set aeronautical charges on a five-year cycle, taking into account the economic viability of an airport, in line with ICAO principles of transparency, cost-relatedness, non-discrimination and user consultation. Some of the prominent features of the civil aviation sector in India include a large number of consumers (passengers and cargo), a relatively small number of airlines with significant market share, high-cost barriers to market entry, differentiated services and competitive firms affecting each other's business decisions. These market characteristics indicate that India's civil aviation sector has an inherent oligopolistic market structure. The Carriage by Air Act 1972 embodies the provisions of the Warsaw Convention 1929 (and as amended by the Hague Protocol 1955). While a large number of countries incorporated suitable amendments to the Warsaw Convention with the passage of time, India continued to abide by the archaic Convention to establish the liability of the carrier. It was finally realised that the obsolete protocols would not address the problems and, consequently, India became the 91st country to ratify the Montreal Convention 1999 (MC99), which is a watershed in the history of the aviation industry. The application of MC99 is elucidated in Article 1(2) of the Montreal Convention. Section 8 of the Carriage by Air Act 1972 entails application of the said Act to carriage by air that is not international. The Act provides that the central government may, by notification in the Official Gazette, apply the rules contained in the Schedules of the Act and any provision of the Sections provided therein to such carriage by air, not, being international and as defined in the First Schedule, as may be specified in the notification subject to such exceptions, adaptations and modifications, as may be specified in this regard. The Carriage by Air Act 1972 extends to the entire territory of India, and is applicable to Indian citizens irrespective of the nationality of the aircraft performing the carriage. In the contemporary world where the use of air transport is a part of modern life, the safety of people is the primary concern for the aviation industry. Consequently, a strict compensation system has been established under the Act. The carrier is not permitted to exclude or limit its liability for damages sustained in case of death or bodily injury of a passenger subject to the conditions that the accident that caused the death or injury took place on board the aircraft or in the course of any of the operations of embarking or disembarking, and if the damages do not exceed 100,000 special drawing rights (SDR) for each passenger. For any claim of damages in excess of 100,000 SDR, the airline operator is not liable if it is shown that such damage was not caused by the negligence or other wrongful act or omission of the carrier or its servants or agents, or that such damage was solely the result of negligence or other wrongful act or omission of a third party. However, nothing prevents the carrier and the passenger from entering into an agreement to fix a higher limit of damages. Additionally, any provision to absolve the carrier from liability or fix a lower limit than that which has been laid down in these rules shall be null and void. Further, if the carrier proves that the damage was caused by the negligence of the injured person, or the actions of said person contributed to the damage, the court may exonerate the carrier wholly or partly from its liability. A scheduled service operator in India that provides services using an aircraft with a take-off mass of 40,000kg or more must necessarily purchase or lease a minimum of five aircraft with a start-up equity requirement of 500 million rupees. For each addition of up to five aircraft, additional equity investment of 200 million is required. With respect to an aircraft with a take-off mass of less than 40,000kg, the start-up fleet minimum remains at five aircraft – purchased or leased – with a minimum equity requirement starting at 200 million rupees and growing by 100 million rupees with every five additional aircraft. For non-scheduled operators, the fleet requirements are nominal; namely, they require possession of only one aircraft and equity requirements exist based on the number of aircraft owned or leased by the operator, which create an additional financial barrier to entry. Category 'A', where the aircraft is wholly owned either by citizens of India; a company; a corporation registered and having its principal place of business within India; or the central government or any state government, or any company or corporation owned or controlled by either of the said governments. Category 'B', where the aircraft is wholly owned either by persons resident in or carrying on business in India who are not citizens of India; or a company or a corporation registered outside India but carrying on business in India. In a case where the usual station of an aircraft and its area of operation are not situated in India, the DGCA may decline to accept an application for registration of the aircraft in India, or, as the case may be, to permit the aircraft to remain registered in India, if, in its opinion, the aircraft could more suitably be registered in another country. The deregistration of an aircraft registered in India shall be effected in accordance with the provisions of the Cape Town Convention. The substantial right of deregistration prevails over any claims made by any authority in India, such as tax or airport authorities, that may collect damages within the terms of their statutory powers. However, such deregistration does not preclude any entity or authority from realising their dues in respect of any services rendered by it, or for recovery of tax dues. There was controversy surrounding the deregistration of foreign aircraft carriers subsequent to the termination of aircraft lease agreements in India, which caused concern in the global aviation market. This was settled by the Delhi High Court in Corporate Aircraft Funding Company LLC v. Union of India and Awas 39423 Ireland Ltd and Ors v. Directorate General of Civil Aviation and Ors. It held that the DGCA is necessarily required to render assistance to the aircraft in the process of deregistration. Although there may be dues that have to be recovered under the Customs Act, it is no impediment to the process of deregistration and there is no authority conferred under the Customs Act to prevent the DGCA from deregistering the aircraft. An aircraft carrier has to necessarily obtain permission from the central government to operate any scheduled air transport service from, to, in or across India in accordance with the Aircraft Rules 1937. A scheduled operator's permit can be granted to any person who is a citizen of India; or a company or a body corporate provided that it is registered and has its principal place of business within India, and a chairman and at least two-thirds of its directors who are citizens of India, with its substantial ownership and effective control vested in Indian nationals. Further, before a schedule operator's permit is issued, a certain prerequisite is that the applicant shall have a paid-up capital for new applicants for which the applicant shall submit a certificate from the banker or chartered accountant to confirm the paid-up capital of the company. Pursuant to the DGCA Circular on Operation of Scheduled International Air Transport Services (as amended from time to time) a domestic carriers that wishes to engage in international carrier operations must possess a valid permit of operation and have leased or purchased at least 20 aircraft. Furthermore, the Open Sky policy of India allows foreign airlines to perform their operations in India provided they act in accordance with the safety regulations in India and are licensed by their home country. The Civil Aviation Requirements (CAR), Series M, Part IV, which was issued by the Office of the DGCA on 6 August 2010 and came into force on 15 August 2010, prescribes facilities to be provided to passengers by airlines as a result of denied boarding, cancelled flights or delayed flights. According to the revised compensation norms, which became effective from 1 August 2016, an airline will be liable to pay compensation to a passenger in the case of delay or cancellation of a flight beyond the specified hours, and also in cases specified therein where passengers are denied boarding. For example, if a scheduled flight gets cancelled, the airline must inform the passenger of the cancellation at least two weeks before the scheduled time of departure and arrange an alternate flight or refund, as may be acceptable to the passenger. If the passengers are informed of the cancellation less than two weeks and up to 24 hours before the scheduled time of departure, the airline has to offer an alternate flight allowing them to depart within two hours of their original scheduled time of departure. If passengers are not informed based on the aforesaid provisions, the airline becomes liable to pay compensation in addition to the refund of the air ticket. The airline in such cases is liable to pay compensation of 5,000 rupees or booked one-way basic fare plus airline fuel charge, whichever is less for flights that have a block time2 of up to and including one hour; 7,500 rupees or booked one-way basic fare plus airline fuel charge, whichever is less for flights that have a block time of more than one hour and up to and including two hours; or 10,000 rupees or booked one-way basic fare plus airline fuel charge, whichever is less for flights that have a block time of more than two hours. If a flight is delayed by less than 24 hours, the airline has to provide meals and refreshments to passengers. If the delay exceeds 24 hours, hotel accommodation and transfers must be provided. This behaviour may invite penal action in accordance with applicable regulations. In such a situation, passengers are expected to abide by law of the land and utilise the means and resources for grievance redressal as specified by the government. Unruly behaviour on-board aircraft has been declared as an offence and is a punishable act. This CAR were issued under the provisions of Rules 22, 23 and 29 of the Aircraft Rules 1937 and with the approval of the MOCA for information, guidance and compliance of all concerned. All foreign carriers flying in and out of India have to follow the CAR subject to compliance with the Tokyo Convention 1963.
intentionally interfering with the performance of the duties of a crew member. In addition, the Ministry of Home Affairs may from time to time provide the DGCA and the airlines with a list of individuals identified as national security threats for inclusion in the No-Fly List. Further, airlines are also required to maintain a database of all unruly passengers and submit the same to the DGCA and other airlines. This shall form a No-Fly List, which will be maintained by the DGCA and contain the following information: full name of the passenger; contact details (telephone number, email address, postal address, etc, as indicated at the time of booking the ticket); details of the identification document (Aadhar card, passport, etc); date of occurrence and details of the incident; sector (ie, domestic or international); flight number; seat number; category level (as per Paragraph 4.10 of the CAR); date from which the ban is imposed; and the period of time that the ban is imposed for. The Competition Act 2002 empowers the Competition Commission of India (CCI) to act as a watchdog and regulate the aviation sector in India. The CCI penalised travel agents who were found guilty of cartelisation and in breach of Section 3 under the Competition Act 2002. Other such legislations that may impose liability with respect to the aviation sector include the Environment (Protection) Act 1986 and the CAR, which regulate the aviation environment protection in India; the Prevention of Corruption Act, 1988 ; and the Consumer Protection Act, 1986. The new Anti-Hijacking Act 2016 has introduced some radical changes to the legislation, but falls short on certain specifics, such as provisions for the protection of ground staff or passengers and crew, and only deals with the consequences of hijacking. The lingering threat of aircraft hijacking by militant organisations compelled the lawmakers to review the existing legislation and preparedness towards such exigencies. The Anti-Hijacking Act 2016, passed by the Lok Sabha on 9 May 2016, gives effect to the Hague Convention of 1971 and the Beijing Protocol of 2010. The aim of the Act is to broaden the scope of the term 'hijacking' by including in its definition the act of threatening to commit hijacking. It is now an offence to unlawfully and intentionally cause any person to receive a threat under circumstances that indicate that the threat is credible. The Act goes a step forward by defining the term 'in service'. An aircraft is considered to be in service from the beginning of the pre-flight preparation by ground personnel, or by the crew for a specific flight, until 24 hours after landing. From a punishment perspective, the Act prescribes the death penalty where the offence results in the death of a hostage or security personnel, and life imprisonment in all other cases. For the first time, the Act provides for the confiscation of movable and immovable property of a person convicted under its purview. The global aviation safety and security standards for the aviation sector are provided by standards and recommended practices laid down by the ICAO. The ICAO puts the onus on the contracting states to devise and formulate a State Safety Programme (SSP). The programme is an integrated set of regulations and activities with the objective of improving safety. The DGCA has responsibility for regulating aviation safety. An SSP and safety management systems (SMS) division has been established to ensure the management of the SSP and implementation of requirements of SMS by stakeholders. The following are the obligations of authorities engaged in aviation to ensure proper implementation of safety programmes. All events of accident and incident investigation are governed by the Aircraft (Investigation of Accidents and Incidents) Rules 2012. Under these rules, the central government is under an obligation to institute an investigation into events of accidents with respect to aircraft weighing a maximum of 2,250kg or a turbo jet aircraft; in all other events, it is the DGCA that is responsible for initiating an inquiry into such events. The Rules provide for the Aircraft Accident Investigation Bureau of India to inquire into the occurrence of accidents or incidents. Further, when any new and material evidence has become available after completion of the investigation, the central government may, by order, direct the reopening of the case or inquiry. It also has the responsibility to apprise the Bureau of any accident or incident within 24 hours of its occurrence. The Aircraft Accident Investigation Bureau maintains an accident and serious incident database and provides the same for inclusion in safety data being maintained by the Directorate General of Civil Aviation, which is required to share their database with the Aircraft Accident Investigation Bureau on a regular basis. Nothing in these Rules limits or otherwise affects the power of the central government with regard to the cancellation, suspension or endorsement of any licence or certificate issued under the Aircraft Rules 1937. India has recognised the responsibilities and accountabilities pertaining to the establishment and maintenance of SSPs. This comprises the directives to plan, develop, maintain, control and constantly improve the SSP. The DGCA is the central authority entrusted with the responsibility for overseeing the implementation of SSPs and carrying out various activities with the aviation organisations covered under SSP safety oversight. Airworthiness is the assessment of an aircraft's suitability for safe flight. Rule 50 of the Aircraft Rules, 1937 stipulates that there shall be a certificate of airworthiness for operation of aircraft in India. Such certification of airworthiness is initially conferred by a national aviation authority and maintained by performing the required maintenance actions. The application of airworthiness defines the condition of an aircraft and forms the basis for evaluation of the suitability for flight of that aircraft, namely, that it has been designed with engineering rigour, constructed, maintained and expected to be operated in accordance with the approved standards and limitations, by competent and approved individuals. Each aircraft either manufactured in India or imported into India for which a certificate of airworthiness is to be issued or validated, shall conform to the design standards and be in a condition for safe operation. To be eligible for the certificate of airworthiness, an aircraft must be type certified – in other words, its type certificate must be validated or accepted by the DGCA. following the DGCA's approval, make available to all known operators or owners of the product, part or appliance and, on request, to any person required to comply with the airworthiness directive, appropriate descriptive data and accomplishment instructions. Rule 52 of the Aircraft Rules 1937 prescribes the requirement for approval of modification or repair affecting safety of any aircraft in respect of which there is a valid certificate of airworthiness. Annex 6 of the ICAO requires that all modification and repair on an operating aircraft shall comply with airworthiness requirements and procedures shall be established to ensure that substantiating data supporting compliance with the airworthiness requirements are retained. Electronic nicotine delivery systems (ENDS), also called e-cigarettes, personal vapourisers, etc., are products that produce an aerosolised mixture containing flavoured liquids and nicotine that is inhaled by user. According to International Airport Transportation Association, several incidents have been reported involving electronic cigarettes overheating by the way of their heating element being accidentally activated, resulting in fire in checked-in baggage. Since such products are a potential health hazard therefore, electronic, simulated smoking materials (cigarettes, pipes, cigars) are prohibited from use by both passengers and crew at all times. They can be accepted on board in the passengers carry on baggage, for use by passenger at destination, provided they remain stowed and unused at all times in the passenger's carry on baggage. Many instances have come to the notice wherein cockpit crew has indulged in photography in the cockpit. In few instances, both pilots were away from the aircraft controls when the photographs were taken. On few occasions crew have also allowed people to enter cockpit and take photographs even though their entry was not covered under AIC 3 of 1997. Taking photographs during flight is source of distraction, which may lead to error and resultant reduction in safety. In a recent case one of the pilots was engaged in photography during training flight, which eventually resulted into as accident. In view of such negligent acts, all the air operators are required to ensure that the crew does not indulge in photography during any phase of flight, passengers do not indulge into photography while embarking or disembarking from the aircraft and provision of AIC 3 of 1997 and operation Circular 4 of 2011 on the said subject are unscrupulously followed. Section 5 of the Aircraft Act 1934, inter alia, empowers the central government to make rules for regulating the export and import of an aircraft for securing the safety of operation. The requirements for import of aircraft are laid down by the Directorate General of Foreign Trade (DGFT) and by the Ministry of Commerce. In accordance with the order issued by the Ministry of Civil Aviation, the DGCA issues permissions for the import or acquisition of aircraft by the Scheduled Operator, Regional Scheduled Operator, Scheduled Commuter Operator, Non-Scheduled Operator and Flying Training Organisations, and recommends that the DGFT issues import licences for aircraft for private use. The DGCA also issues permissions to individuals and companies, etc., for import of microlight aircraft, powered hang gliders and hot air balloons for private use, hobby flying, joy rides, etc. The permission for the import of aircraft, excluding aircraft for private use, is issued in two stages: in-principle approval, and no-objection certificate (NOC) for import. The Directorate of Air Transport (DAT) issues in-principle approval for all categories of aircraft in consultation with other relevant directorates. In case of import of aircraft for private use, an import licence from the DGFT is required. After the in-principle approval has been granted, a letter recommending the issuance of an import licence by the DGFT is issued by the DGCA. All aircraft other than private category aircraft can be imported without the need to obtain an import licence from the DGFT. The validity of the permission for import or acquisition of each aircraft is one year, which may be extended for another six months on genuine grounds. However, in any case, the permission will not be extended beyond the validity of the initial NOC issued by MOCA for new applicants. The DGCA mandates that the aircraft operator shall maintain current insurance for an amount adequate to cover its liability towards passengers and their baggage, crew, cargo, hull loss and third-party risks in consonance with the provisions of the Carriage by Air Act 1972. In case of death or bodily injury of a passenger, the aircraft is strictly liable to pay 100,000 SDR for each passenger and the carrier cannot exclude or limit its liability in such circumstances. The liability of the carrier in the case of destruction, loss, damage or delay with respect to baggage shall be limited to 1,000 SDR for each passenger. In the carriage of cargo, the liability of the carrier in the case of destruction, loss, damage or delay is limited to a sum of 17 SDR per kilogram. Further, the central government may give effect to the revised limits of liability, under Rule 24 of Chapter III of the Third Schedule to the Carriage by Air Act 1972 for the purposes of determining the liabilities of the carriers and extent of compensation for damages. The Competition Commission of India (CCI) is the premier body of the central government responsible for enforcing the Competition Act 2002 throughout the territory of India and to prevent activities that have an appreciable adverse effect on competition (AAEC) in India. The purpose of the Commission is to establish a competitive culture in order to promote fair, competitive and innovative business practices and eliminate all impediments to the establishment of such environment. Cartelisation is one such impediment to competitive culture, which is presumed to have an AAEC on competition under Section 3 of the Competition Act. Cartel behaviour in the aviation industry is not unusual in India. A significant level of investments and liquidity to cover start-up and high operational costs are prerequisites that impose barriers to entry in the aviation sector. As a result, cartels are able to exercise control and dominate the sector. Further, regulations pertaining to fleet and financial requirements and slot allocations preclude entry, and may escalate the likelihood of cartel behaviour. Recently, the Competition Appellate Tribunal (COMPAT) penalised three carriers – Jet Airways, InterGlobe Aviation Ltd and Spice Jet – for 'concerted action in fixing and revising fuel surcharge for transporting cargo'. The COMPAT imposed a penalty of 563.4 million rupees on Jet Airways, 637.4 million rupees on IndiGo and 424.8 million rupees on Spice Jet for cartelisation as 'connivance' by airline companies to introduce a fuel surcharge was not founded on concrete grounds and such a practice was without any legal basis, which warranted imposition of penalties. In the case of Uniglobe Mod Travels Ltd, relating to ticket booking segment, the CCI found the existence of cartelisation of travel agents and penalised them for breach of Section 3 of the Competition Act. The case pertains to a boycott call made by trade associations of the travel agents in India against a few international airlines where one of the members did not submit to the boycott call, which resulted in its expulsion from the association. The CCI held that the travel agents, through their tacit agreement, were involved in the boycott and had therefore violated Section 3 of the Competition Act. The Carriage by Air Act 1972 incorporates the provisions of MC99 pertaining to liability and compensation to be paid in case of wrongful death. According to Article 21 of MC99, in case of death of passengers, the airline is liable to pay up to 100,000 SDR. If there is demand for compensation higher than this limit, the airline can contest it. If it is proved that such damage was not the result of the negligence or other wrongful act or omission of the airline, its staff or agents, or if such damage was solely the result of the negligence or other wrongful act or omission of a third party, then the airline is not liable to pay the higher amount. The approach of the courts in India in relation to liability in case of death is clearly visible in the case of National Aviation Company of India Ltd v. Abdul Salam and others, where an Air India Express on an international flight from Dubai crashed on landing at the Bajpe International Airport at Mangalore on 22 May 2011 causing the death of 158 people and injury to the remaining 10 people on board, including crew. The cause of the air crash was found to be a pilot error and the Kerala High Court accordingly ruled in favour of the victims. The Court observed that the Third Schedule to the Carriage by Air Act 1972 does not provide any minimum compensation for the death or injury of a passenger. The carrier is liable to pay any actual damages proved by the claimants in the case of death or injury. In the event where the damages claimed is above 100,000 SDR, the carrier can contest the claim in excess of 100,000 SDR by proving that the cause of accident was not on account of any negligence of the carrier or their servants or agents, or that the accident was caused by the negligence or other wrongful act or omission of a third party. Personal injury: the carrier is liable for damage sustained in the event of the death or wounding of a passenger or any other bodily injury suffered by a passenger, if the accident that caused the damage sustained took place on board the aircraft or in the course of any of the operations of embarking or disembarking. An action to enforce the liability may be brought by a personal representative of the passenger or by any person but only one action shall be brought in India in respect of the death of any one passenger, and every such action by whomsoever brought shall be for the benefit of all such persons so entitled either domiciled in India or not being domiciled in India express a desire to take the benefit of the action. Compensation: in the carriage of passengers, the liability of the carrier for each passenger is limited. In case of damage caused by delay in carriage of person the liability of carrier for each passenger is limited to 4,150 SDR. Where damages may be awarded in the form of periodical payments, the equivalent capital value of the said payments shall not exceed 125,000 francs. Nevertheless, the carrier and the passenger may agree to a higher limit of liability by entering into a special contract regarding the same. The carrier shall not be liable for damages to the extent that they exceed for each passenger 100,000 SDR if the carrier proves that such damage was not the result of any wrongful act on the part of the carrier; its servants or agents; or solely of a third party. In the event of any destruction, loss, damage or delay, the liability of the carrier shall be limited to 1,000 SDR for each passenger unless the passenger has made a special declaration of interest in delivery at the destination and has paid a supplementary sum. In that case, the carrier shall be liable to pay a sum not exceeding the declared sum, except if it is proved that the sum is greater than the passenger's actual interest in delivery at destination. The liability of the carrier arises when any destruction, loss, damage or delay is caused during the carriage of cargo and such liability is limited to a sum of 17 SDR per kg, unless the consignor has made a special declaration of interest in delivery at destination and has paid a supplementary sum. In that case, the carrier shall be liable to pay a sum not exceeding the declared sum, unless it proves that the sum is greater than the consignor's actual interest in delivery at destination. The fundamental purpose of the voluntary reporting mechanism is to improve the standards of aviation safety through the collection of reports on actual or potential safety deficiencies, which may not be reported through the established channels. Therefore, a voluntary reporting system has been established to address the lack of reporting under the mandatory reporting system. The Indian voluntary and confidential reporting system is already defined in the Aeronautical Information Circular 03 of 2015. Under the current framework of voluntary reporting, a number of persons belonging to categories provided in the circular can be instrumental in promoting and maintaining aviation safety by reporting on occurrences or potential threats in the aviation system. passenger handling operations related to safety or any other area that has an impact on aviation safety. The goods and services tax (GST) is an indirect tax applicable throughout India with effect from 1 July 2017, which replaced multiple cascading taxes levied by the central and state governments. The GST is governed by a GST Council and its chairman is the Finance Minister of India. Transport of passengers by air in economy class will be levied 5 per cent GST with input tax credit (ITC) of input services. Transport of passengers, with or without accompanied belongings, by air, embarking from or terminating in a Regional Connectivity Scheme airport will be levied 5 per cent GST with ITC of input services. Leasing of aircraft under Schedule II(5)(f) of the Central Goods and Service Tax Act 2017 by a scheduled airline for scheduled operations will be levied 5 per cent with ITC of input services. Transport of passengers by air in other than economy class will be levied 12 per cent GST with full ITC. Transport of passengers, with or without accompanied belongings, by air, embarking from or terminating in an airport located in the state of Arunachal Pradesh, Assam, Manipur, Meghalaya, Mizoram, Nagaland, Sikkim or Tripura, or at Bagdogra located in West Bengal. The MOCA has set up a GST Facilitation Cell to provide guidance in consultation with the relevant sectoral groups set up by the GST Council and facilitate the smooth and effective implementation of GST provisions. The MOCA has set up a GST call centre for any queries and concerns related to implementation of the GST provisions concerning the civil aviation sector. The GST Facilitation Cell will also circulate guidance notes and other materials relevant to the civil aviation sector via a GST Help Corner on the Ministry's website (www.civilaviation.gov.in/). The National Civil Aviation Policy came into effect on 15 June last year. The scheme of the Civil Aviation Policy, the first such integrated policy in India, ensures security and affordable air travel while providing access to various parts of India and the world. It strives to achieve the goal of enhanced regional connectivity coupled with ease of doing business and promoting the entire aviation sector chain from cargo, general aviation, aerospace manufacturing to skill development. Domestic passenger traffic registered a compound annual growth rate (CAGR) of 9.89 per cent from 2007–2008 to 2016–2017. In 2017 (April–September), domestic airlines carried 57.5 million passengers, with a growth rate of 16 per cent over the same period in the previous year. Scheduled Indian and foreign carriers carried 29.2 million passengers to and from India, which resulted in a growth rate of 9 per cent in 2017 (April–September) over the same period in the previous year. The guidelines for FDI have been amended and consequently, FDI by foreign airlines has been permitted under the consolidated FDI policy, for up to 49 per cent in scheduled air transport service or domestic scheduled passenger airline or regional air transport service, 100 per cent in non-scheduled air transport services and 100 per cent in helicopter services or seaplane services. The highly controversial 5–20 rule has been replaced by a 0–20 rule for starting foreign operations, meaning airlines can start international operations provided they deploy a total of 20 aircraft or 20 per cent of total capacity (in terms of average number of seats on all departures put together), whichever is higher for domestic operations. According to data released by the Department of Industrial Policy and Promotion, FDI inflows in air transport (including air freight) between April 2000 and December 2017 stood at US$1,608,510,000. The Indian carriers have shown great interest in expanding their operations both in India and abroad. Major players in the Indian aviation sector, including SpiceJet, IndiGo, GoAir and Jet Airways, had plans or firmed up orders for over 800 new planes, including a large number of smaller aircraft in 2017. This displays the potential of India as one of the world's fastest-growing aviation markets. The UDAN Regional Connectivity Scheme (UDAN RCS) was launched in October 2016 to develop the regional aviation market. It is a vital component of the National Civil Aviation Policy 2016 (NCAP). It aims to make flying affordable by providing connectivity to unserved and underserved airports of the country through revival of existing airstrips and airports so that persons in regional towns are able to take affordable flights. The UDAN RCS will be applicable to routes that are between 200km and 800km with no lower limit set for hilly, remote, island and security-sensitive regions. A Regional Connectivity Fund will be created to fund the Scheme via a levy on certain flights. States are expected to contribute 20 per cent to the fund. For balanced regional growth, allocations will be spread equitably across the north, west, south, east and north-east regions with a cap of 25 per cent. The UDAN RCS is expected to have a positive effect on the economy in terms of employment and investment. It will also promote tourism and balanced regional growth. The NCAP, which came into effect in June 2016, aims to fortify the aviation sector, which has the prospective of growth in the future. It has proposed tax incentives for airlines; the setting up of no-frills airports; maintenance and repair works of aircraft; increasing FDI limit for foreign airlines; and providing viability gap funding for carriers to strengthen the regional air connectivity. The fixing of fare price on the basis of travel time as provided in the National Civil Aviation policy is a welcome proposal. The central government should take further initiatives towards this end to extend the reach of the airlines to the common masses. The Route Dispersal Guidelines, which mandate all airlines to direct the loss-making flights to remote parts of India, also need revaluation since they create a stringent environment for carrying out business in India. A faster approach towards setting up new airports and airstrips and expanding existing airports, as well as an additional emphasis on infrastructure facilities in large towns, are wholly necessary for exploring the real potential of the sector. Overall participation and collaboration of the stakeholders with the policymakers to implement efficient and rational decisions is imperative to boost India's civil aviation industry. With appropriate policies and persistent focus on quality, cost and passenger interest, the well-formed vision of India becoming the third-largest market by 2020 and the largest by 2030 will be successfully realised. 1 Ravi Singhania is the managing partner at Singhania & Partners LLP. 2 Block time is the total time from the moment an aircraft first moves for the purpose of taking off until the moment it finally comes to rest at the end of the flight. 3 As provided under the CAR, Section 3, Air Transport, Series M, Part VI, Issue II, effective from 8 September 2017. 4 The Indian Technical Standard Order is a detailed airworthiness specification issued by DGCA to ensure compliance with the requirements of this regulation as minimum performance standards for specified articles.